Singular Publishing Group, 9781565939790, 336pp. 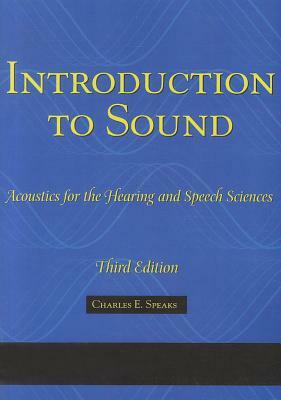 This powerful text continues with the same fundamental aim as the previous two editions to not present, but to teach the fundamental concepts of acoustics to students in the speech-language and hearing science. In addition to relocating revised practice problems and answers to a newly created Course Notes and Workbook for Introduction to Sound, the third edition also introduces new features. Supplements Course Notes and Workshop for Introduction to Sound 1-56593-980-8 - 176 pages, softcover, 8 1/2 x 11.